Note: The Surface Pro we have came with Intel Core-i5 7th generation processor, 8 GB of RAM, and 256 GB of internal storage. Since I personally use a MacBook Pro, it is very hard for me to like a Windows device when it comes to build quality. I mean, hate how much ever you want, you cannot deny the fact that Apple makes one of the best build laptops in the market. Coming back to the Surface Pro (2017), I am happy to announce that the product matches MacBooks in the build quality department, and if you add in the genius of its design, it even surpasses it. I mean, the Surface Pro (2017) feels light and perfectly weighted. 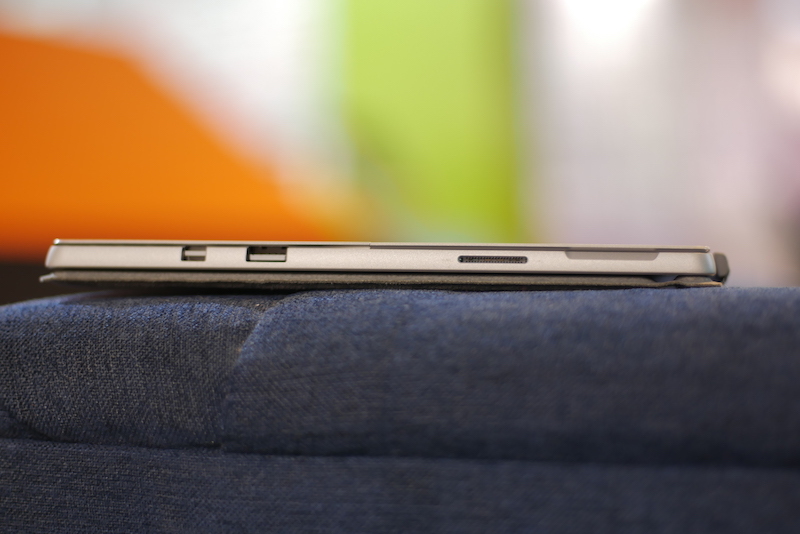 Neither it’s so small that it can’t be used as a laptop, nor it’s so big that it hampers its usability in tablet mode. The tablet portion is very well built. It feels solid and evokes a feeling of confidence whenever you take the device in your hand. I am especially a fan of its hinge which is very sturdy and can be arranged in multiple positions. Even the magnetic connection between the keyboard cover and the tablet portion is very strong. Overall, Microsoft has nailed the design and build quality of Surface Pro (2017) and I am more than happy with it. In fact, currently, it’s my favorite machine as far as design and build quality is concerned. 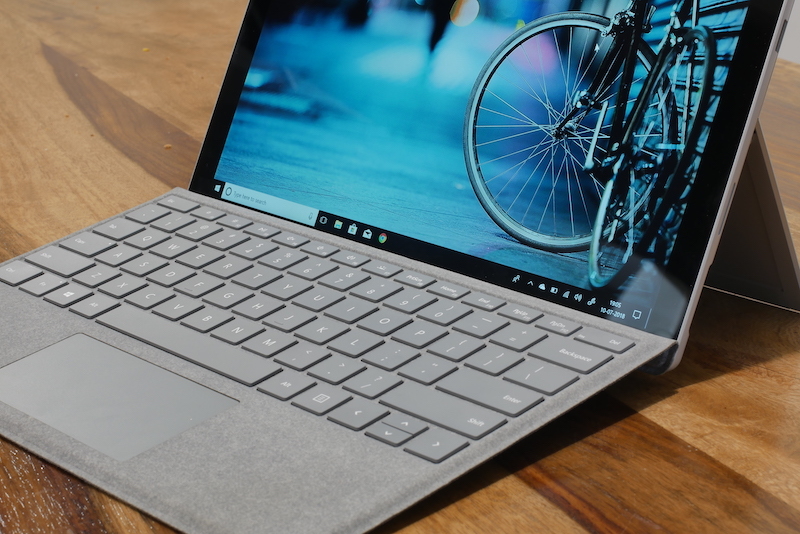 Considering that the Surface Pro (2017) is just a big tablet (not taking the keyboard cover in account), you will be right to think that it will be light on ports, which it is. 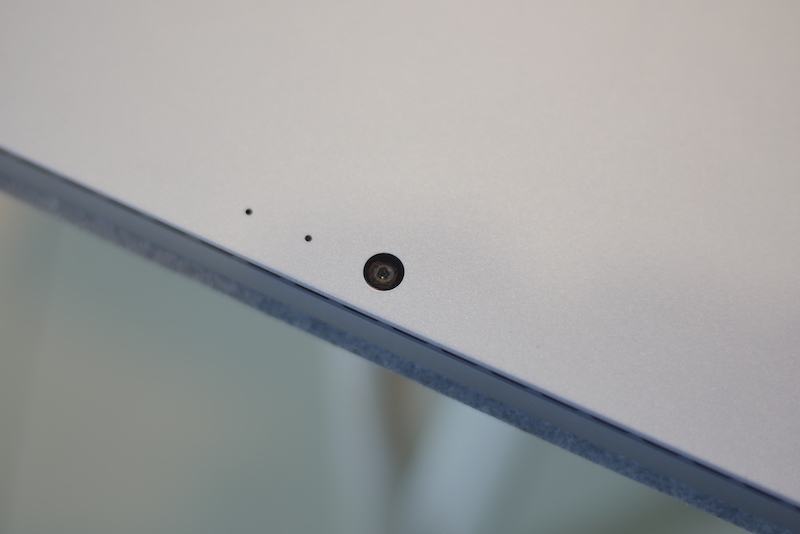 There’s a headphone jack at the top left side while there’s a USB-A port, a mini DisplayPort, and a Surface Connect port on the right. The Surface Connect port is used for charging as well as connecting with the Surface Dock, something you might want to buy if you want to extend the port selection on this thing. 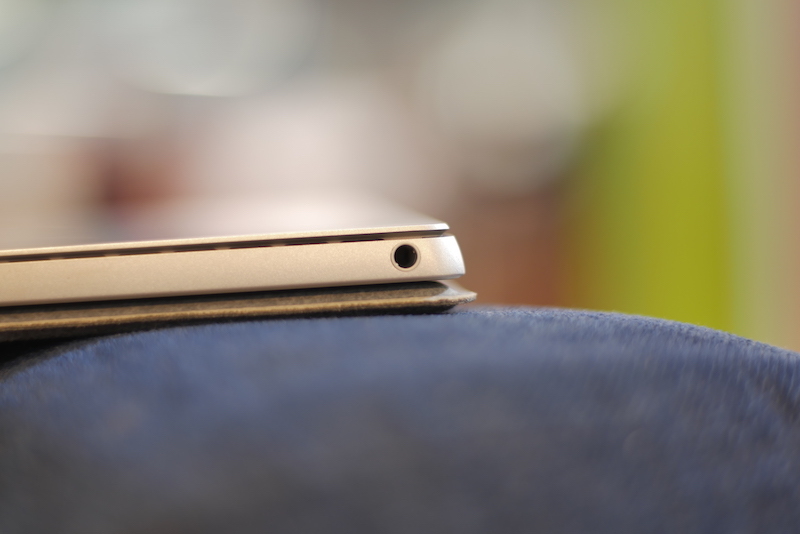 There’s also a microSD card slot which is neatly hidden behind the hinge. On the wireless front, the Surface Pro (2017) supports latest 802.11 a/b/g/n/ac dual-band WiFi standard along with Bluetooth 4.1. Knowing that the Surface Pro (2017) is a very thin and light machine, it was no surprise for me to find a dearth of ports here. The only thing I wish Microsoft have included was a USB-C port. Also, a full-size SD-card reader would have been better than the microSD one. That said, I might not be happy with the port selection, but I am not unhappy either. One of my favorite part of the Surface Pro (2017) is its display, which is one of the best displays on any device out there, period. The 12.3-inch PixelSense display is absolutely gorgeous to look at. It has a resolution of 2736 x 1824 pixels which gives it a pixel density of 267. Believe me when I tell you that the display is crisp. I mean from viewing photos to consuming media to just reading and surfing the web; everything looks crisp and beautiful. I also love the 3:2 aspect ratio of the display which makes it more productivity friendly. 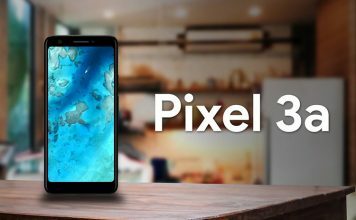 The taller aspect ratio means that the display will be able to show more vertical content when you are surfing the web, writing, or reading. On the flip side, it also means that you will be seeing larger than usual black bars at the top and bottom. 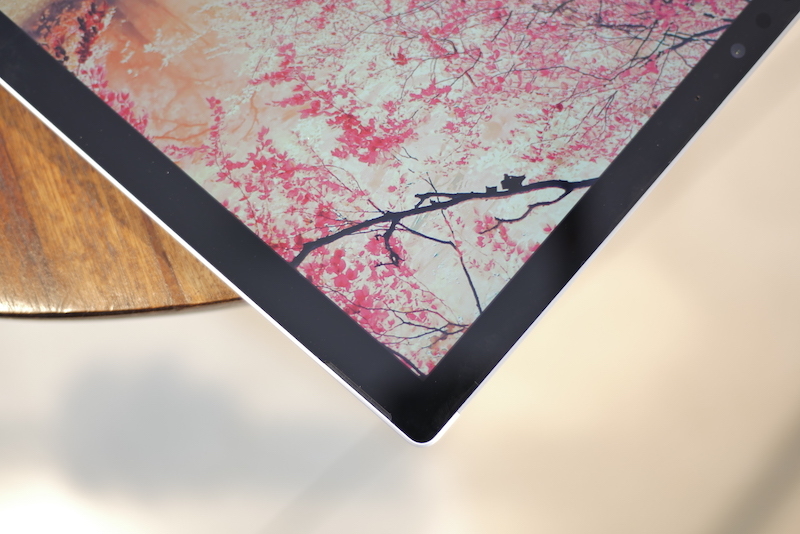 Finally, the display is a touch-screen and supports 10-point multi-touch technology. I don’t know how Microsoft has done this but I am quite happy that the display is both highly touch-responsive and has excellent palm rejection at the same time. 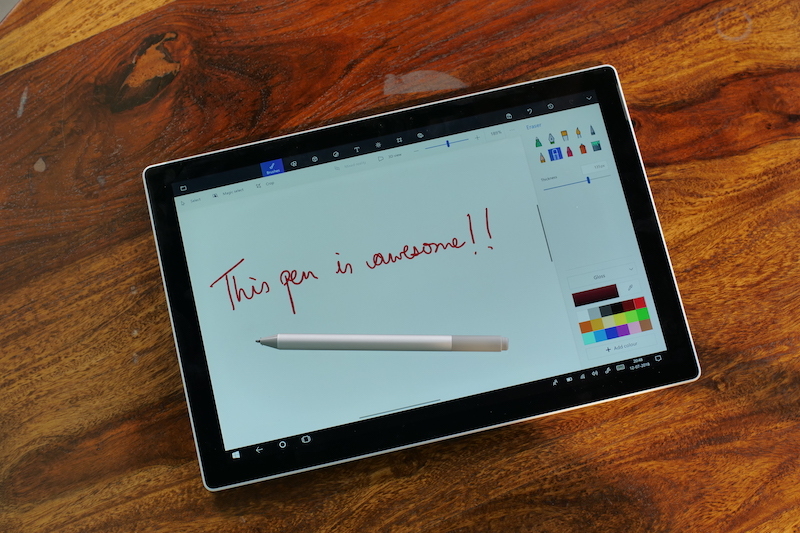 Even if you don’t buy the Surface Pen (₹11,365) and just use your fingers as a touch input, you will love the touch experience on this thing. 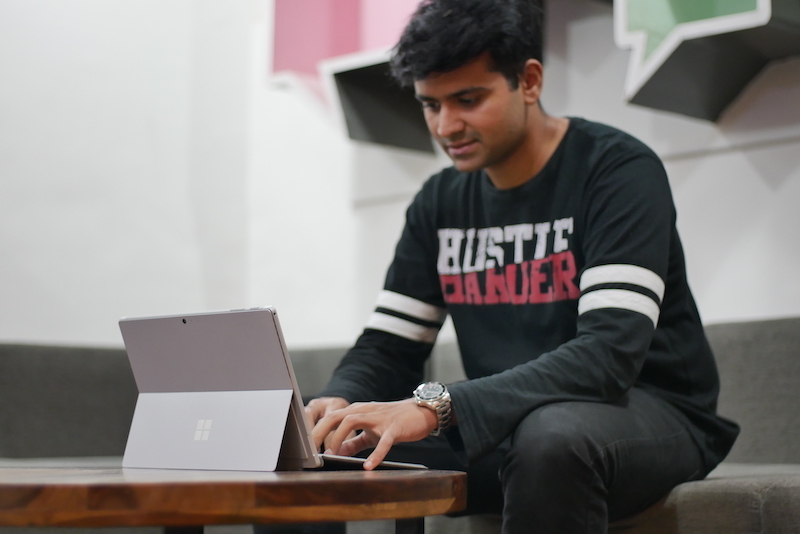 As you might know, the Surface Pro (2017) doesn’t come with keyboard cover and you will have to buy the Surface Type Cover (₹10,890) separately. This is probably the most outrageous thing about this whole setup. I mean, buying a Surface Pro (2017) without the keyboard cover doesn’t make any sense. Well, once you are able to digest the extra price that you will pay for the keyboard cover, you will be happy to know that the keyboard cover is pretty awesome. I mean, again Microsoft has done something impossible here. The company has successfully made a keyboard cover which is both thin and light and still delivers a good typing experience. I have used the keyboard cover extensively over the past week, and other than the initial adjustment period, I was able to type without any noticeable drop in my speed or accuracy. The keys are well-spaced and have more than enough travel. I also love the fact that the keys are backlit which makes it really easy to use the keyboard in dark. 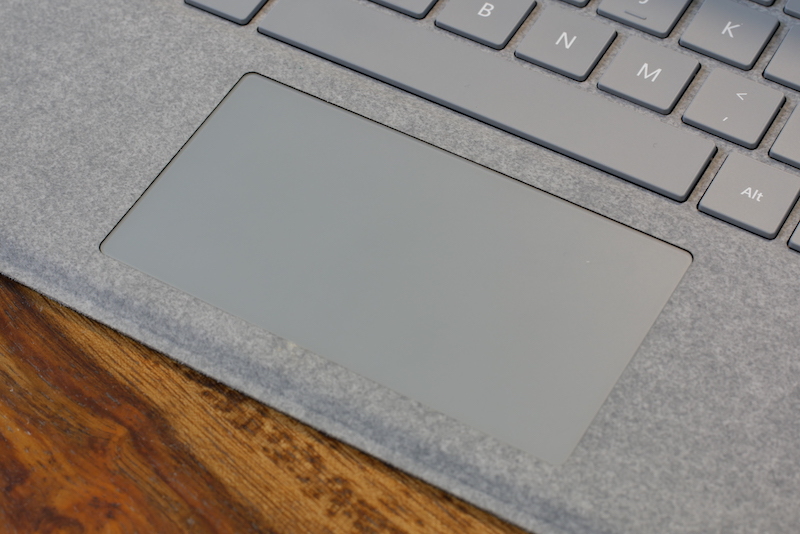 Coming to the trackpad, the Surface Type Cover (₹10,890) features a small trackpad at the bottom with Windows Precision drivers. Tracking is really good and all the gestures work flawlessly. Even the buttons click with satisfying feedback and sound. Probably the only problem that I have with the trackpad is its size. I might be exaggerating this, however, coming from a huge trackpad on my MacBook Pro 2016, the one on the Surface Type Cover feels tiny. Other than that, I don’t think Microsoft could have done anything better here. Since I am not an artist, I am not the right person to tell you about the Surface Pen’s artistic virtues. That said, I can tell you about the pen’s technical specifications and how it enhanced my experience with the device. First things first, Surface Pro (2017) is the first model which comes without a Surface Pen (₹11,365) which now you need to buy separately. So, if you are not someone who is planning to use the pen on a daily basis or need it for your work, I wouldn’t suggest you buy this as it costs a lot. However, if you have made up your mind and are getting the Surface Pen you will be happy to know that a lot of things have improved. First and probably the most important improvement is the reduction in latency. Now it only has 21 ms latency which is a huge improvement over the 40 ms latency which was present in the earlier Surface Pros. Also, the pen now supports 4,096 levels of pressure which is four times the sensitivity of the previous pens. All this means that using the pen on Surface Pro (2017) will feel way more natural than ever before. I mainly used it for jotting down notes and navigating the interface and I like it. Yes, it’s still not as good as writing on paper, however, the experience is closer than you might think. 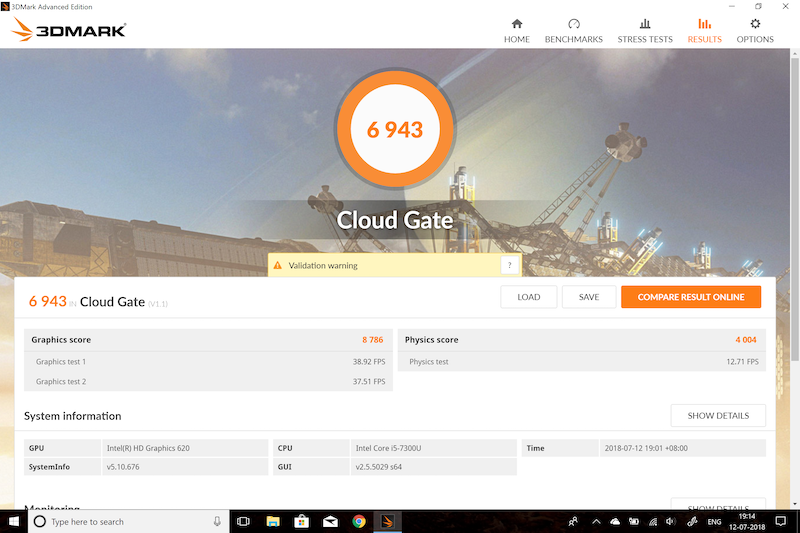 Talking about the performance of this thing, the model we are testing is running on Intel’s 7th generation core-i5 processor which is paired with 8 GB of RAM and 256 GB of fast NVME storage. Before I tell you how the device performed in real life, you should know exactly who this device is made for. I mean, it feels absurd even while I am writing this, but you should know that it’s not made for gaming or video editing or any other high intensity task. This is mainly a productivity laptop and that’s all you will get out of this. 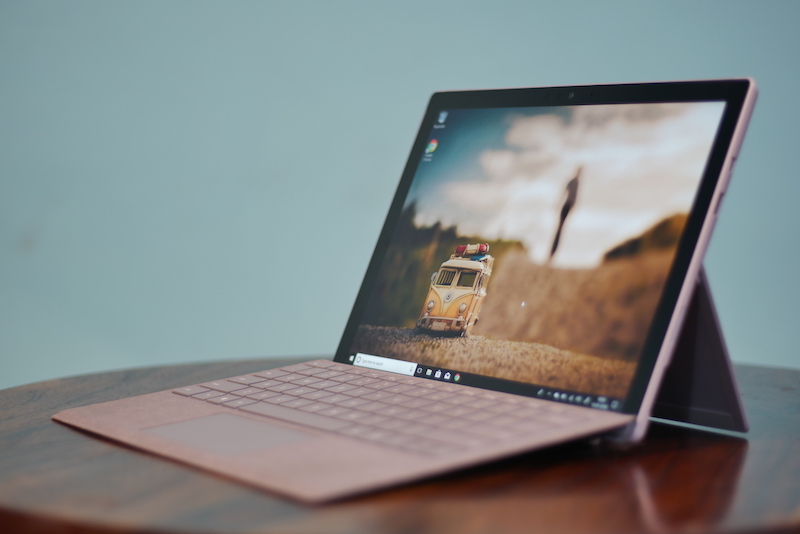 Once you have set your expectations right, you will find that the Surface Pro (2017) brings plenty of power. I mean, using this laptop for more than a week, I never had the Surface Pro (2017) stutter or lag. I used it for writing, web browsing, streaming high-res media, painting, drawing, manipulating small 3D objects, and more, and I never felt that the machine lagged behind my inputs. Whenever I was using this device, it was able to keep up with my needs. 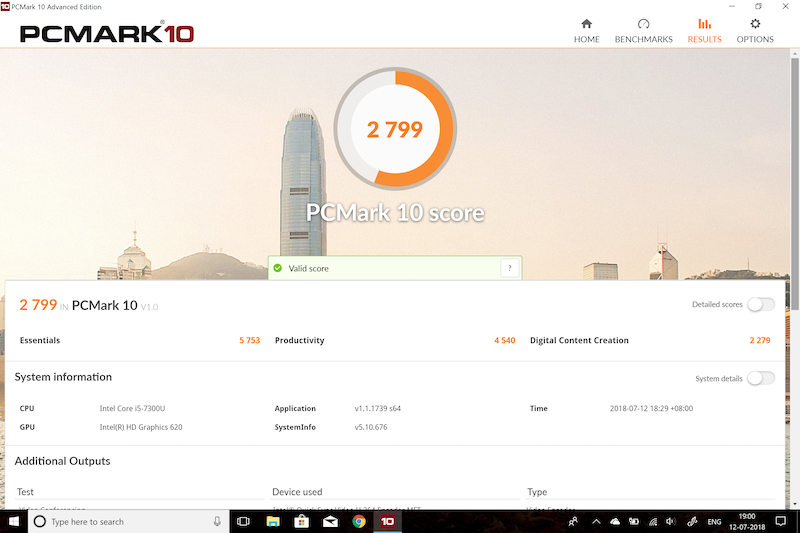 For the satisfaction of all you benchmark nerds out there, I have attached both the PCMark 10 and 3DMark CloudGate scores, however, these scores don’t paint the full picture. If you are going to use the Surface Pro (2017) for tasks it’s made to execute, you will never find yourself wanting for more power. If somehow you do, remember that there’s also an i7 version which will certainly improve its performance. Seeing how Surface Pro (2017) is such a thin and light tablet which houses all the internals, it was quite surprising to find a very good pair of speakers on this device. The best part about the speakers is that they are directly facing you thereby delivering a good audio quality directly to your ears. I also love the overall sound profile of the speakers as they pack quite a punch and don’t distort even on higher volume. The Surface Pro (2017) certainly packs one of the best speakers on any laptop and I am quite happy with it. Probably the only knock off I have against the Surface Pro (2017) is the placement of the headphone jack. The top left position of the 3.5 mm jack means that whenever you are using the machine in landscape mode, the wire is always dangling in front which is quite annoying. Other than that, I have no qualms regarding the audio quality here. Since the Surface Pro (2017) is clearly a 2-in-1 device, it was very important for me to test out its usability in both configurations. Starting with the laptop mode first, the Surface Pro (2017) feels like a very competent laptop. When using on a desk, I could not find any fault with the Surface Pro (2017)’s laptop mode. That said, the main issue with the Surface Pro (2017) arises once you are using it on your lap. I mean, lapability is a real issue here, especially if you are using it in such a way that the Surface Pro (2017) is above your line of sight. Since all the internals are housed in the tablet portion, the entire assembly is top heavy and it never stays in place. That said, using it on your lap while sitting in a chair, to my surprise, was quite comfortable. Look, a traditional laptop will always be better at lapability than a 2-in-1 and that’s just a fact. So, if that’s something that is really important to you, you probably should stay away from a 2-in-1 device. All I can say that as far as 2-in-1 devices are concerned, the Surface Pro (2017) gives the best usability in laptop mode than any other device out there. As I mentioned before, the Surface Pro (2017) is very light. It feels even lighter because the weight is perfectly distributed and hence no matter how you are holding the tablet, it never feels heavy. 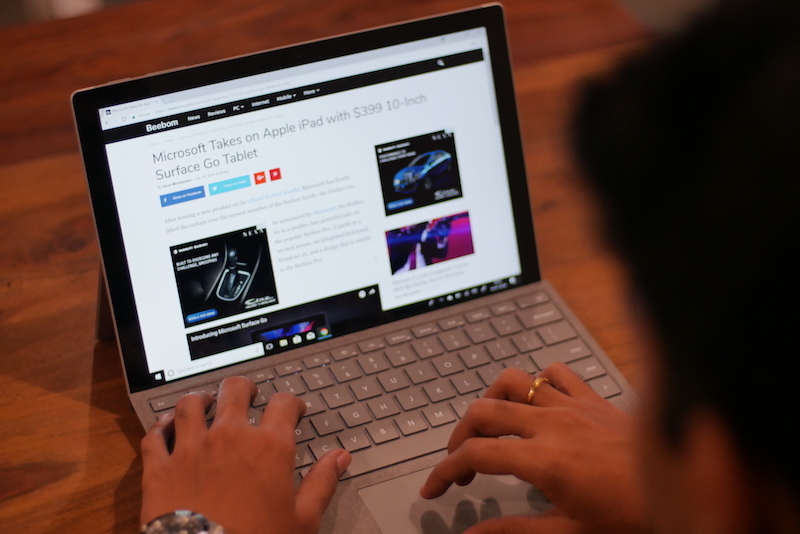 I have used the Surface Pro (2017) in tablet mode for consuming media and reading articles, and never did I felt uncomfortable using it. My hand never felt tired even after using it for a long period of time. That said, the lack of the apps in Windows Store hurt its usability in tablet mode. I mean comparing it to any Android tablet or iPad, I really missed the apps that I have been used to. Apart from the lack of apps which is more of a software issue than a hardware one, I was perfectly happy while using the Surface Pro (2017) in tablet mode. 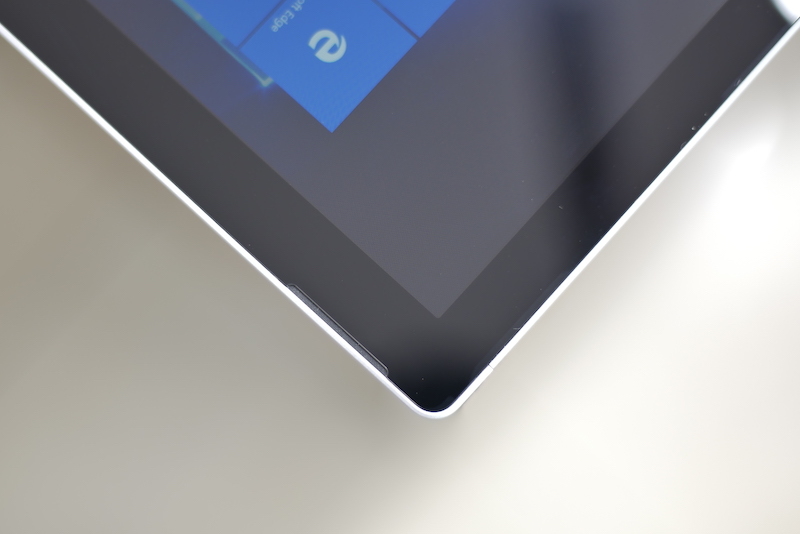 The Surface Pro (2017) packs a 5 MP camera at the front which it also uses for Windows Hello. If there’s one thing that I can tell you, it’s the fact that I loved using Windows Hello on this thing. Logging in to this device has been a pleasure and it doesn’t take more than a second for the device to identify and log you in. I loved it so much that now using any other form of authentication feels archaic to me. 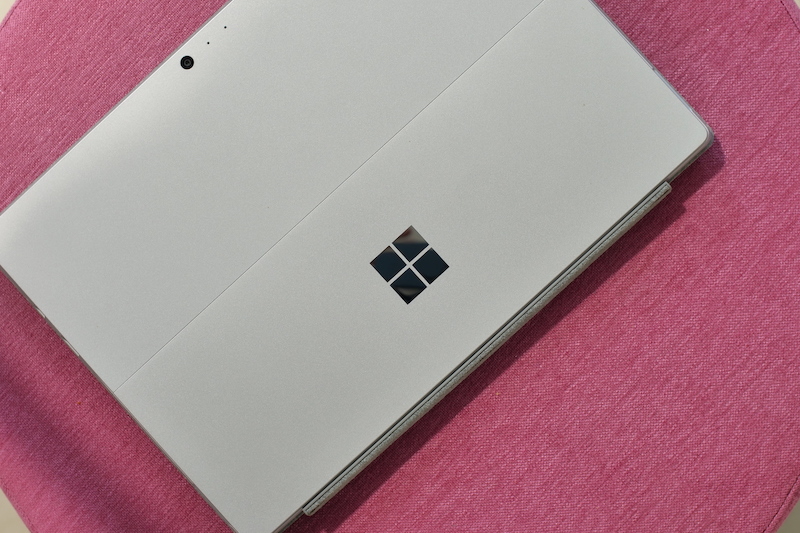 As far as image quality is concerned, since it supports 1080p video recording, the Surface Pro (2017) gives a better video call experience than most of the devices out there. 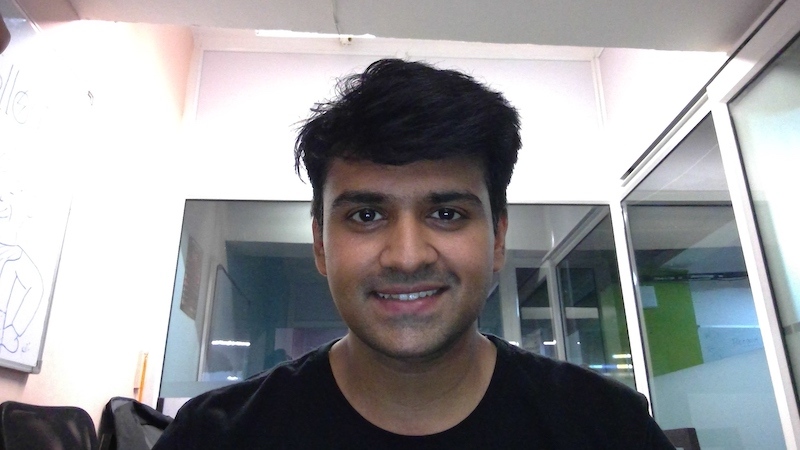 If you make a ton of video calls, I think you will be more than happy with its quality. While the front-facing camera is great, that’s not the only camera on this device. Since it’s a 2-in-1 device, Microsoft has also packed an 8 MP camera at the back which takes some decent pictures. I don’t know why you would want to use it, but it’s there if you need it. I personally didn’t find its use in any scenario and only used it while testing the camera. I have been happily surprised by the battery life that I received on the Surface Pro (2017). Although the device only brings 45 W battery, it consistently lasted me a whole work day. My usual workday includes a lot of writing and web surfing. There’s always 4-5 Chrome tabs opened in the background and I am constantly streaming songs on Spotify. With that usage, the Surface Pro (2017) lasted me around 7-8 hours which is very good. I mean it’s nowhere near the 13.5 hours of battery life claimed by Microsoft but it’s also significantly better than the 6 hours battery life of last generation Surface Pro 4. My favorite thing about the Surface Pro (2017) that has to do with battery is its standby time. The Surface Pro (2017) doesn’t deplete the battery in the background. Many times I have left the Surface Pro (2017) in sleep mode overnight only to discover the same battery percentage in the morning. I am more than happy with the battery life on this thing. I have used the Surface Pro (2017) for a week and I have fallen in love with it. 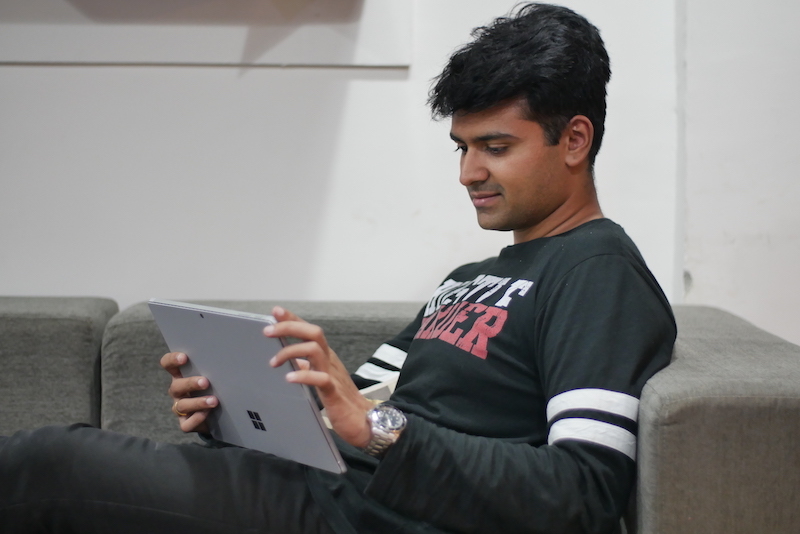 With its beautiful display, performance, battery life, and more, the Surface Pro (2017) has won my heart. 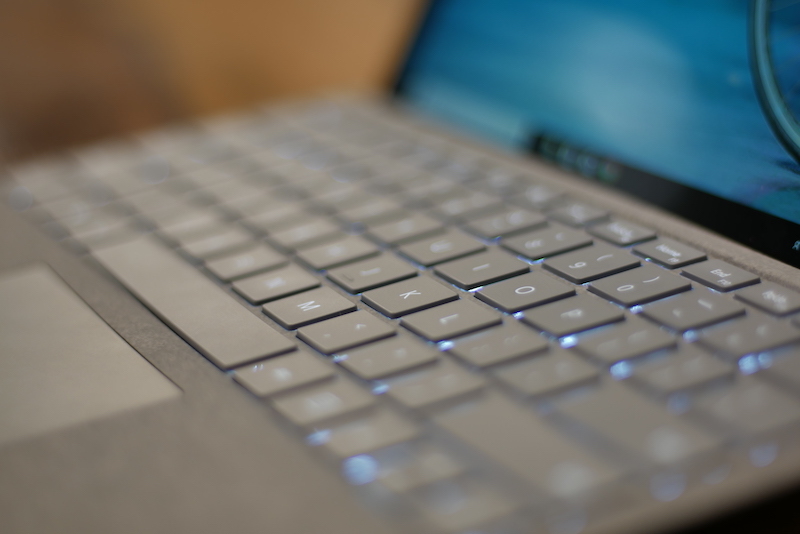 Now that I am back to my Mac, I seriously miss its touch screen and 2-in-1 features. I mean, I can’t explain how comfortable it is to just snap off the keyboard and use it in tablet mode for reading articles or consuming media on your bed. 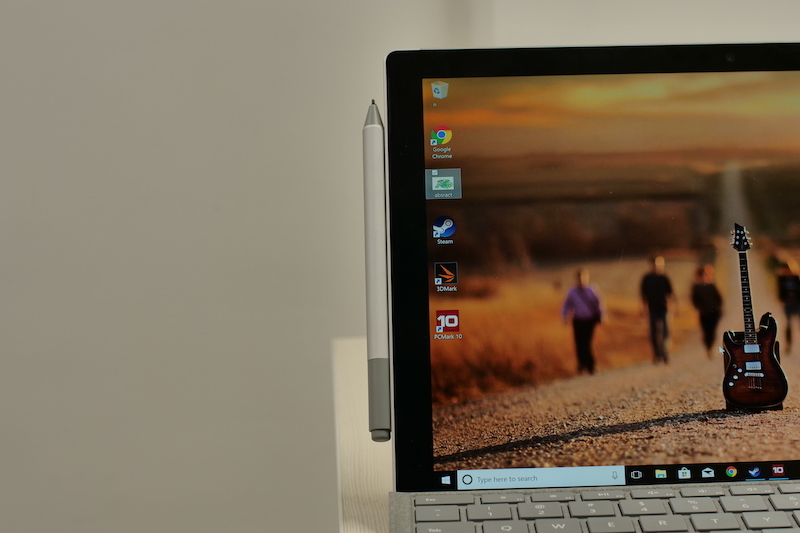 While earlier Surface Pros suffered from one problem or the other, with the Surface Pro (2017), Microsoft has addressed all those problems and have created a very reliable and productive machine, which in my opinion is the biggest strength of the Surface Pro (2017). The high-resolution touch-enabled PixelSense display is beautiful and a joy to use. The all day-battery life with an exceptional standby mode is second to none. Feels very comfortable to use in tablet mode. More versatile than any other Windows machine. The keyboard is not included in the purchase. 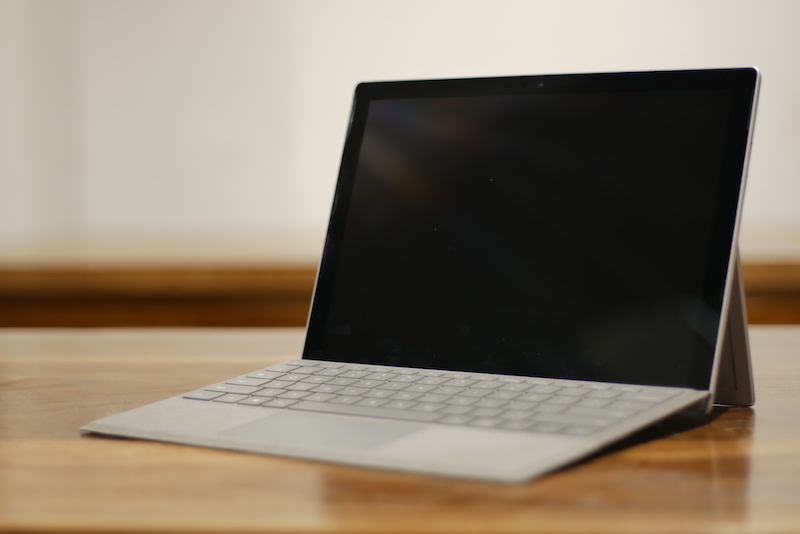 Surface Pro (2017) is the best 2-in-1 device out there and it’s the perfect device to replace your laptop. 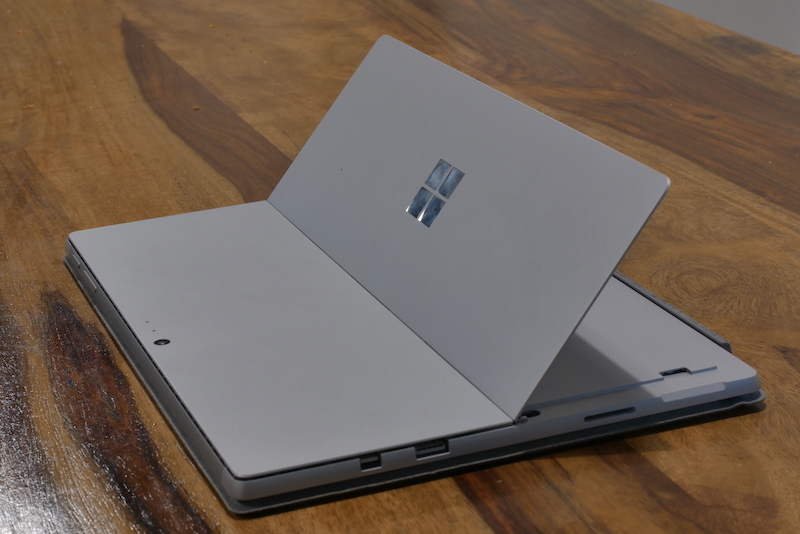 A couple of years back, Microsoft envisioned to create a line of device which can replace your laptop. 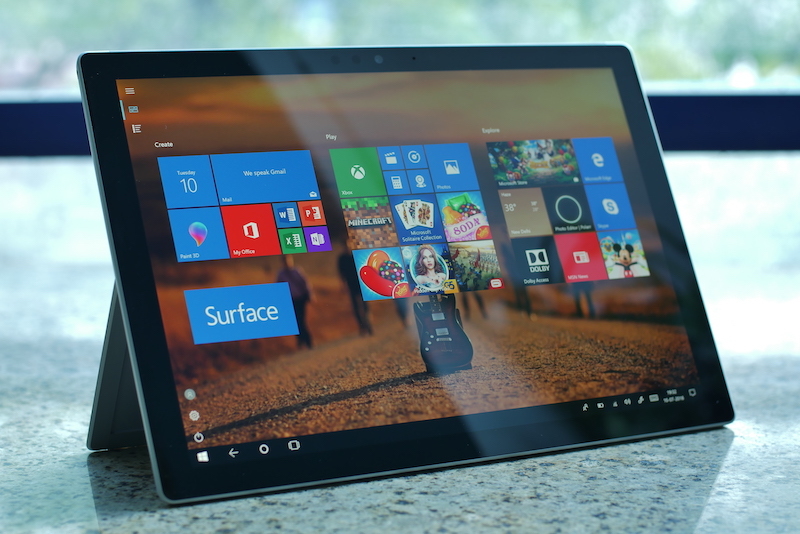 The Surface Pro (2017) is the latest product in that line and it is the first one which I can safely recommend to anyone looking to buy a laptop. 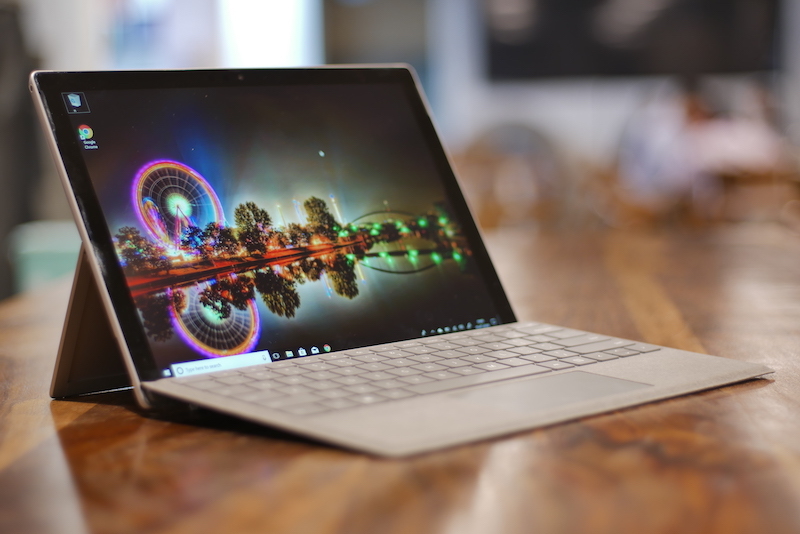 The Surface Pro (2017) is not only a great 2-in-1 device but it’s also one of the best laptops that you can buy right now. Microsoft Surface Pro (2017) is reliable and productive 2-in-1 machine which checks all the right boxes. It has impeccable build quality, performs well, and easily last for a work day on battery. Of course, it still has lapability issues, however, by making one sacrifice you will be getting a ton of versatility which is just not possible with a traditional laptop.